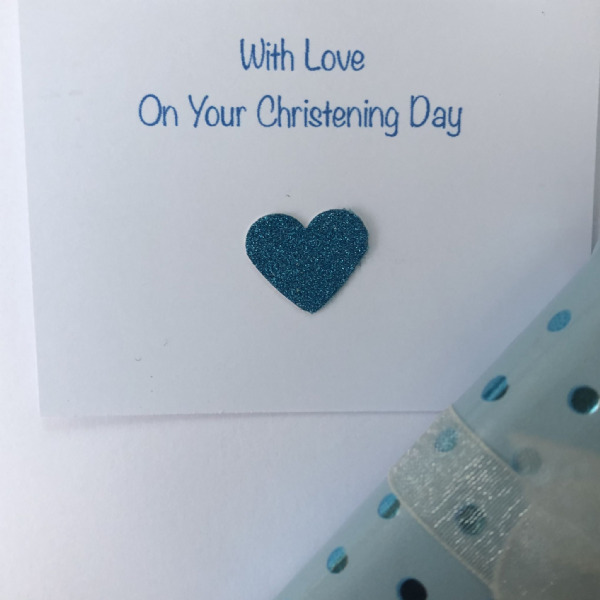 Our gorgeous boy's gift bracelet is the perfect gift for a boy to celebrate a special occasion; Christening / Holy Communion / Confirmation. 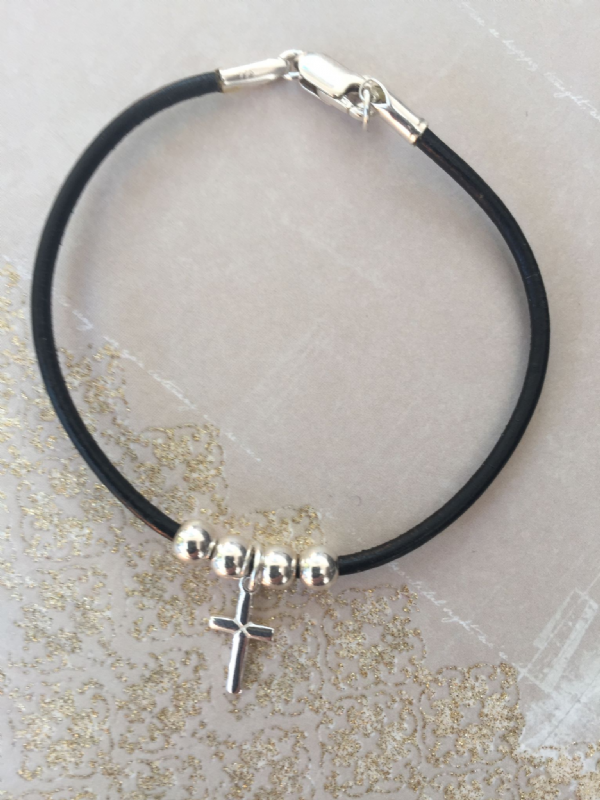 The leather bracelet measures approx 7" length and has a gorgeous delicate sterling silver cross, sterling silver clasps and attachments and beads. Addition of a delicate sterling oval tag with your choice of engraved message of your choice; 'Special Son', 'Special Godson', 'Special Grandson', 'Special Nephew', 'Special Brother'. The silver tag measures approx 0.8cm x 0.5cm, the delicate silver cross measures approx 0.8cm x 0.4cm. There is an additional £4.99 charge for a sterling silver delicate heart tag to be added to this design. Or we can add a slightly larger sterling silver oval tag with your own messages engraved on the front and also on the back at an additional charge of £12.50. Perfect packaging and wonderful little extras with every boy's jewellery gift.